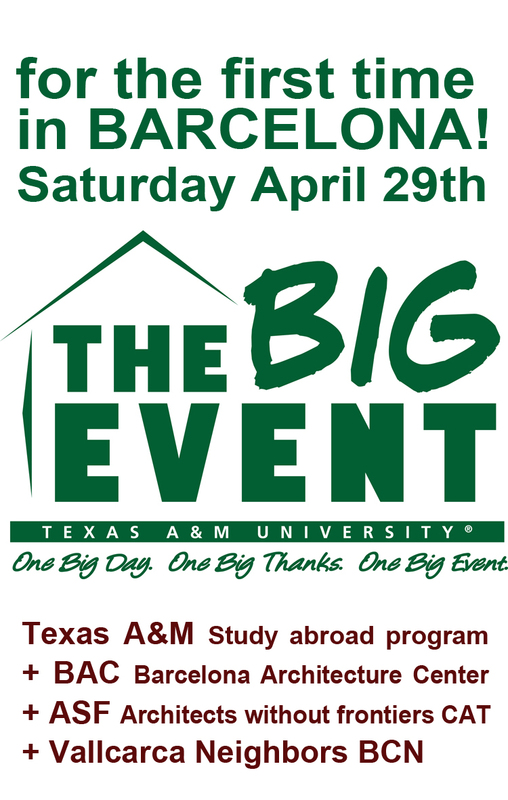 Our super Texas A&M BIG EVENT yesterday in Barcelona got to the KBTX news! We’re very proud of our Aggies Studing abroad in Barcelona for their wonderful work and great energy today giving back to the city of Barcelona! Big THANK YOU to all! Thanks Arquitectes Sense Fronteres and Vallcarca neighbors for letting us help in the neigborhood today! photos by Celso Rojas, graduate student of Texas A&M and BAC. For the first time this year Texas A&M BIG EVENT (http://bigevent.tamu.edu) goes global and we’re all proud to be part of it! Texas A&M Architecture Study abroad program in Barcelona hosting center BAC, Barcelona Architecture center is organizing this year’s TEXAS A&M BIG EVENT with ASF, Architects without Frontiers (http://catalunya.asfes.org/) and Vallcarca Neighborhood Association (Asamblea barrio de Vallcarca). 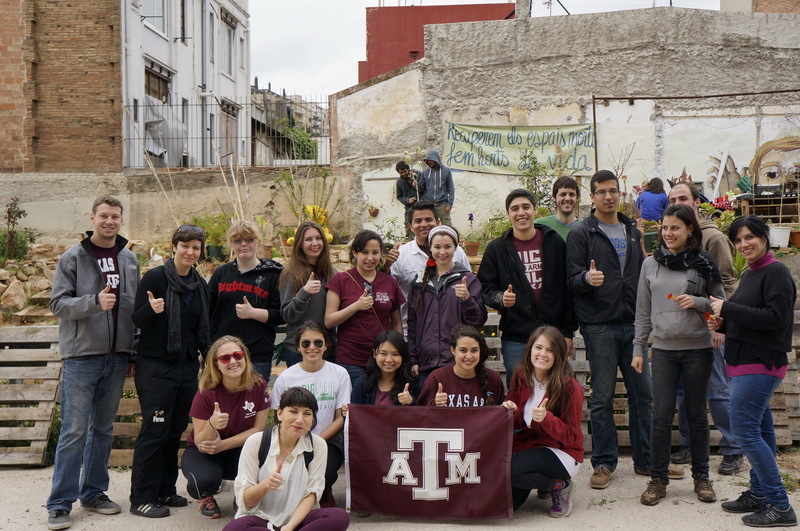 Vallcarca area has suffered great urban transformation during past 10 years, so our Barcelona Aggies will be helping this day to work on some community projects in that area. We hope to make this day productive, useful and fun for all. Vallcarca neighborhood tour by ASF volunteers and Neighbors explaining high lines of the neighborhood history, transformation process and projects. After the tour we will explain all details, group division for works on Saturday. The working day. Building urban furniture_table mounting, painting, gardening at the neighborhood orchards and fixing neighborhood model that has been exposed at the main exhibitions in Barcelona. 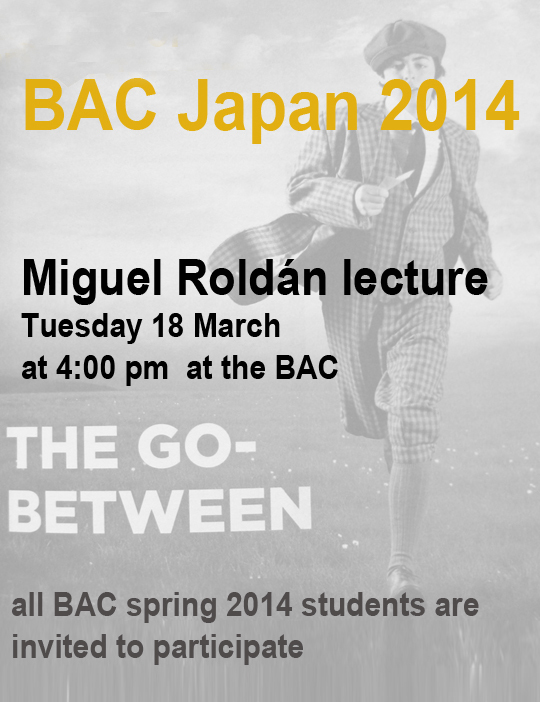 All – confirm your participation on Friday and Saturday. For Friday and Saturday, please wear your TAMU shirts, and bring TAMU flag if you have one with you. If you have any questions or suggestions, please feel free to write. During the first week of BAC Japan 2014 intensive course at Barcelona Architecture Center, Yoshihide Kobanawa and Jean Craiu took our japanese students to the field studies visit around Gotic, Born, Raval and Sant Antoni area. At their itinerary they’ve visited emblematic buildings and markets of the city center such as Roman Temple, Santa Maria del Mar cathedral, Santa Catherina, Born, la Boqueria and Sant Antoni Markets and College of Architects headquarters building, MACBA, CCCB, Sant Antoni library among others. Here you can find some photos from their visits. Thanks Jean Craiu for the photos!